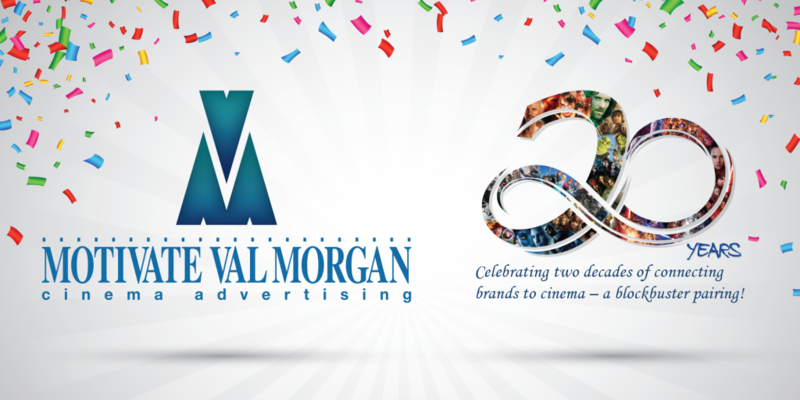 Motivate Val Morgan is proud to announce its twentieth year as a leading cinema advertising company in the Middle East. Established in 1999 by Motivate Media Group and Val Morgan Cinema Network, Motivate Val Morgan launched with a six-screen multiplex in Ajman (UAE), one sales professional and a part-time administrative assistant. The business has since expanded exponentially and we now represent leading cinema exhibitors across UAE, Lebanon, Oman, Egypt, Qatar, Bahrain, Saudi Arabia and Kuwait, and comprise a team of more than 30 members. We are fortunate to have experienced steady growth over the last two decades and are extremely proud of our accomplishments along the way. There’s no doubt in saying that everybody loves cinema! It’s one of the favorite past times in the region and guarantees delivery of affluent audiences with high spending power. Cinema is even recession proof! For advertisers however, cinema had always been considered a local medium. And one of the main challenges faced when pitching for regional campaigns has been the lack of a footprint in Saudi Arabia – the main market in the GCC. Following the lift on the 35-year-old ban on cinema in Saudi Arabia in May 2018 – a massive breakthrough for cinema in the region – Motivate Val Morgan was able to establish a new arm of its business in the Kingdom. 2019 will be the continuation of this new journey, as we gain greater market share in the coming years and foresee our team in KSA growing to the size of our regional team. We sincerely thank our advertisers and business partners who are a valued part of our company’s growth and success, and look forward to your continued partnership and the opportunity to serve you in decades to come. Finally, a big thank you out to all the team members of Motivate Val Morgan. Thanks to their dedication and hard work, we are strongly positioned to grow our geographical footprint and continue to be recognized as a leader in cinema advertising, offering innovative solutions in an ever-changing industry landscape.